There is one thing that every applicant should do before you apply for their next government job, but less than 20% of applicants actually do. It is the one thing that is guaranteed to help you make your government job application more targetted and more relevant to the job you're applying for and will place you above the other applicants straight away. Now I know that isn't ground breaking advice. Everyone knows that the contact officer is available for questions. So why don't more people use this valuable resource to help them with their applications? officer and have a chat about the position. If the job advertisement and selection documentation only lists the recruitment or human resources section, call them and ask if there is anyone you can speak to specifically about the day to day elements of the position. The majority of the time the contact officer will be on the selection panel, and you would be surprised how many panels take this contact as a sign of initiative, which is taken into account later in the selection process. Before calling the contact officer, make a list of questions to ask, which will clarify any areas of uncertainty or concern about the position, or how to address your application. In some circumstances, it may be appropriate to visit the contact officer to see the working environment, and find out more about the organisation’s work and where the vacant position fits.A list of suggested questions is at the bottom. In addition to talking to the contact officer, there are a few steps you should take before putting pen to paper and writing your government job application. Here are the three things you should do, in order. Step 1. 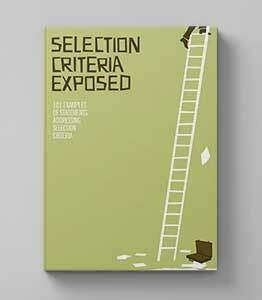 Request the selection documentation / information kit. This is done through the contact listed or download it from the organisation's website. This will contain important information on how to apply for the position and what to include in your application. This is a non-negotiable step - It would be embarrassing and frustrating if your application was not considered because you didn’t include the required application form, for example. Step 2. Read the job description and selection criteria carefully, and make sure this is a position you would really like to do. Are you prepared to leave where you are now, and take up another role? Do you have the knowledge and experience required? 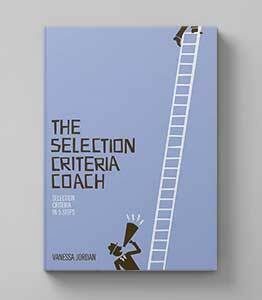 Do you meet all of the selection criteria? If you don’t meet all of the selection criteria your chances of being shortlisted for an interview are very low. Meeting all but one or two of the criteria definitely isn’t good enough, and most applicants who do not meet all the criteria are immediately rated as unsuitable for the position. Writing an application for a government position takes time and is hard work, so make sure it is going to be worth it before starting. Some applicants have the tendency to exaggerate their skills until they fit the criteria. If you do this and are lucky enough to make it to the interview stage, it can create an embarrassing situation when you’re probed for more information on your skills and experiences and you can’t deliver. Even worse, if you manage to make it through the interview, imagine the stress of trying to do a job that you don’t have the skills for. Remember, it is in your interest to find a position that fits your skills and abilities, will provide satisfaction, career development, and harness your potential. The role of the selection panel is to find a person who has the skills, abilities, knowledge and experience in order to successfully carry out the duties of their vacant position. If you don’t end up getting the role, maybe it wasn’t right for you all along. A recent study in Australia found that when you take into account the exaggerations of applicants, and how hiring managers describe their vacant role inaccurately, only 9% of the time do you get a perfect match of someone who is right for the role, and the role is right for them. So, is it worth investing the time into writing an application, and potentially preparing for an attending an interview? Make sure the answer is yes before you start. Step 3. Call the contact officer. If you're in love with the job and know you can meet all of the selection criteria, the next step is to call the contact officer. And here are a list of suggested questions.